Here are some excerpts from a Washington Times report about a billionaire donor who is bankrolling candidates who support higher taxes, even though he structured his hedge fund in low-tax jurisdictions specifically to minimize the fiscal burdens of his clients. Tom Steyer, the billionaire environmental activist who is spending $100 million to help elect Democrats this fall, is rallying support for energy taxes that could impact everyday Americans. But when he ran his own hedge fund, Mr. Steyer sought to help wealthy clients legally avoid paying taxes, confidential investor memos show. Mr. Steyer’s strategy included establishing funds in tax havens like the Cayman Islands and Mauritius… Mr. Steyer boasted to investors such as major universities that his hedge fund, Farallon Capital Management LLC, had a “desire not to earn income which would be taxable to our tax-exempt investors,” one internal memo reviewed by The Washington Times showed. Mr. Steyer also helped his firm’s wealthy clientele avoid the highest of U.S. taxes and penalties by establishing arcane tax shelters… Mr. Steyer is pushing for a variety of new taxes on the energy sector. In California, Mr. Steyer supports an oil extraction tax, and he is funding politicians who support taxing carbon, including Sen. Mark Udall, Colorado Democrat. By the way, Steyer did nothing wrong, just as Mitt Romney did nothing wrong when he utilized so-called tax havens to manage and protect his investments. But at least Romney wasn’t overtly urging higher taxes on everyone else, so he’s not guilty of glaring hypocrisy. Speaking of international taxation, how about the behavior of Senator Joe Machin’s daughter? She’s the head of an American drug-making company, a position that almost surely has something to do with her father being a senator. Particularly since the company gets a big chunk of its revenues from sales to the federal government. In any event, her company has decided that it’s okay to benefit from sales to big government, but that it’s not a good idea to pay taxes for big government. Here are some blurbs from a National Journal report. …this column happens to be about a Democratic senator from West Virginia, Joe Manchin, and his daughter, Heather Bresch, the chief executive of Mylan, a giant maker of generic drugs based outside Pittsburgh. Her company’s profits come largely from Medicaid and Medicare, which means her nest is feathered by U.S. taxpayers. On Monday, Bresch announced that Mylan will renounce its United States citizenship and instead become incorporated in the Netherlands – leaving this country, in part, to pay less in taxes. By the way, I’m a big fan of companies re-domiciling overseas. So long as our corporate tax system has high rates and punitive worldwide taxation, corporate expatriation is the best way of protecting the interests of American workers, consumers, and shareholders. But it’s a bit hypocritical when the expatriating company is run by a major Democrat donor. Our third example of hypocrisy also deals with corporate expatriation, and it’s probably the most odious and extreme display of two-faced political behavior. Here’s some of what was reported in the L.A. Times about the Secretary of the Treasury’s attack on corporate inversions. Calling for “a new sense of economic patriotism,” a top Obama administration official urged Congress to take immediate action to stop U.S. companies from reorganizing as foreign firms to avoid paying taxes. …”What we need as a nation is a new sense of economic patriotism, where we all rise or fall together,” Lew wrote to the top Democrats and Republicans on the congressional tax-writing committees. “We should not be providing support for corporations that seek to shift their profits overseas to avoid paying their fair share of taxes,” he said. …Lew said such moves were unfair to U.S. taxpayers. …”Congress should enact legislation immediately — and make it retroactive to May 2014 — to shut down this abuse of our tax system,” Lew wrote. Gee, big words from Mr. Lew. But too bad he didn’t say those words to himself when he was a crony capitalist at Citigroup. Why? 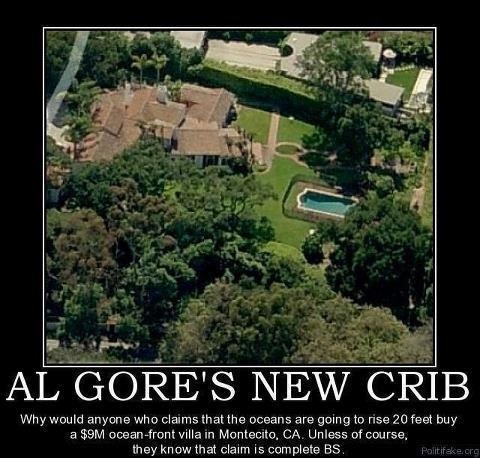 Because he had big money parked in the Cayman Islands! So he inverted his own funds but doesn’t want other taxpayers to have the right to make the same sensible choices. Now let’s look at three non-tax related examples of hypocrisy. First, we have a pro-Obamacare politician running for Congress. One of his main talking points is that his wife is an OB/GYN and he also trumpets his support for expansion of Medicaid (the government’s money-hemorrhaging healthcare program for lower-income people). Here’s some of what was reported by the Free Beacon (h/t: National Review). John Foust has made his wife the face of his campaign for Virginia’s 10th District. Dr. Marilyn Jerome is an OBGYN… Foust attacks his Republican opponent Barbara Comstock for opposing Medicaid expansion. Failure to expand Medicaid to rural hospitals could be “devastating,” he says. Dr. Jerome has also written in support of the Affordable Care Act on the Foxhall website, citing the Medicaid expansion as beneficial to low-income women. But it seems that Medicaid expansion is only a good idea when other doctors are dealing with the government. It turns out, however, that not all women can receive “compassionate reproductive healthcare” from Foxhall. The practice doesn’t accept Medicaid. …in public, Dr. Jerome is preaching the Affordable Care Act and praising the Medicaid expansion while, in her practice, she doesn’t accept it. The message is that sub-standard government-run healthcare is okay for us peasants, but doctors who cater to the political elite in Washington want nothing to do with the program. Sort of like the politicians and IRS bureaucrats who want to be exempted from Obamacare. Second, it turns out that global warming alarmists use above-average amounts of energy. Here are some tidbits from a column in the UK-based Telegraph. People who claim to worry about climate change use more electricity than those who do not, a Government study has found. Those who say they are concerned about the prospect of climate change consume more energy than those who say it is “too far into the future to worry about,” the study commissioned by the Department for Energy and Climate Change found. …The findings were based on the Household Electricity Survey. Not that this surprises me. I’ve previously shared evidence that elitist environmentalists want to dictate the energy consumption of ordinary people while suffering no cutbacks in their own extravagant living standards. Third, we have a remarkable bit of political jujitsu from Martin O’Malley, the governor of Maryland, on the issue of illegal aliens. Here’s an amazing excerpt from a story in Politco (h/t: National Review). Martin O’Malley says that deporting the children detained at the border would be sending them to “certain death” — but he also urged the White House not to send them to a facility in his own state. Wow. Regardless of what you think about open borders, amnesty, and other immigration issues, O’Malley comes across as a craven politician. This is NIMBY on steroids. In conclusion, I should point out that hypocrisy is not limited to leftists. I’m even harder on faux conservatives who pretend to favor small government when talking to voters but then aid and abet statism behind closed doors in Washington. development, and professional development. Oh, my. So sorry, is Mr. Flores not capable of leadership on his own? Does he really need to hire a group of people to teach him how to be a leader? Meanwhile, Carlos Flores of San Diego Regional Center is sending out NOAs (notices of action) to parents of disabled children, telling them, nope, we won’t fund your services. Is this guy a joke or what? The “covey principals” are based on Steven Covey’s beliefs. Stephen Covey is a motivational guru and alleged SCAM ARTIST. What is Carlos Flores thinking?????? Heather Bresch has worked for Mylan for twenty years. Your ad hominem attacks don’t lend credence to your arguments. Manchin is also trying to outlaw a drug that competes with his daughter’s company. I love your reports from Cato and your personal comments. Take a look at Gov. Malloy from Connecticut who also turned down 2000 immigrant children and who is a number one statist and supporter of Obama.